Cold Specks’ second outing begins as it means to go on: a repetitive, foreboding keyboard pattern, the kind of trumpet noise you’d expect Einar to make during a Sugarcubes gig back in the day and vague, threatening lyrics courtesy of front woman Al Spx (when she sings ‘Dance, darling’, it ain’t the kind of invitation you’d be quick to take). This isn’t welcoming noise. 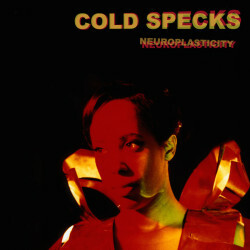 Not for nothing have Cold Specks been called the leading exponents of doom soul. There’s a sort of push me pull you at work between the slightly gothy overtones provided by the band (a Cure-ish guitar line on ‘Old Knives’, drum lines that recall The National on ‘A Quiet Chill’, backing vocals from Swans’ Michael Gira on ‘Exit Plan’) and the langorous fluidity of Spx herself. Taken together, they are at their best when they try to rouse themselves to be a bit optimistic as they do on the album’s second track, ‘Bodies at Bay’. For the most part, though, it’s all a bit samey. London Grammar’s debut could have this album in a fight any day of the week.